I believe that the best way to learn this practice is to be led through it. In one way this practice is simpler than any of the others we teach on Wildmind: one simply takes one’s awareness through one’s experience while walking. But in other ways it’s more complex — simply because there is a lot you can be aware of while doing walking meditation. So it’s easiest to be talked through the practice. I’ve prepared an audio CD that will guide you through the practice, in a guided meditation lasting just under 20 minutes. You can also try walking meditation on your own. To give you an idea of what this practice involves, you might want to read this transcript, which represents the kind of thing I generally say when leading walking meditation. There is a CD available which contains a guided session of walking meditation, as well as other meditation practices. So, to begin this period of walking meditation, first of all let’s simply stand. Just stand on the spot, being aware of your weight being transferred through the soles of your feet into the earth. Being aware of all of the subtle movements that go on in order to keep us balanced and upright. Very often we take this for granted, our ability to be able to stand upright. But actually, it took us a couple of years to learn how to do this. So be aware of the constant adjustments that you’re making in order to maintain your balance. And then you can begin to walk at a fairly slow but normal walking pace, and in a normal manner. We’re not going to be changing the way that we walk; we’re simply going to be aware of it. So first of all, keep in attention in the soles of your feet, being aware of the alternating patterns of contact and release; being aware of your foot as the heel first makes contact, as your foot rolls forward onto the ball, and then lifts and travels through the air. Be aware of all the different sensations in your feet, not just a contact in the soles of your feet but the contact between the toes, the feeling of the inside of your shoes, the fabric of your socks, and let your feet be as relaxed as you can. Become aware of your ankles. Notice the qualities of the sensations in those joints – as your foot is on the ground, as your foot travels through the air. And let your ankle joints be relaxed – make sure you’re not holding on in any way. You can become aware of your lower legs – your shins, your calves. You can be aware of the contact with your clothing: be aware of the temperature on your skin; you can be aware of the muscles. And notice what the calf muscles are doing as you’re walking. You might even want to exaggerate for a few steps what the calf muscles are doing – just so that you can connect with that – and then let your walking go back to a normal relaxed rhythm. Encourage your calf muscles to be relaxed. And then become aware of your knees- noticing the qualities of the sensations in your knee joints. Then expand your awareness into your thighs. Being aware of the skin, again the contact with your clothing, the temperature. Being aware of the muscles, and noticing what the muscles on the fronts of the thighs, and the muscles on the backs of the thighs are doing. And once more you might want for a few paces just to exaggerate what those muscles are doing – exaggerate the action of those muscles. And then letting your walk go back to a normal rhythm. Becoming aware of your hips – the muscles around your hip joints — and relaxing those muscles. Really relax. Even when you think you’ve relaxed – relax them some more. And just notice how that changes your walk. Notice how the rhythm and the gait of your walk change as your hips relax. You can be aware of the whole of your pelvis – and notice all of the movements that are going on your pelvis. One hip moves forward and then the other; one hip lifting, the other sinking. And you can be aware of the complex three-dimensional shape that your pelvis is carving out through space as you walk forwards. The lowest part of your spine – your sacrum – is embedded in the pelvis. So as you feel your spine extending upwards – the lumbar spine, the thoracic spine – you can notice how it moves along with the pelvis. Your spine is in constant motion. It’s swaying from side to side. There is a twisting motion around the central axis. Your spine is in constant, sinuous, sensuous motion. Notice your belly – you might feel your clothing in contact with your belly – and notice how your belly is the center of your body. Very often it feels like it’s “down there” because we are so much in our heads. So seek to what extent you can feel your belly is the center of your body, as the center of your being. Notice your chest, and just let your breathing happen. Notice the contact that your chest makes with your clothing. Noticing your shoulders. Notice how they are moving with the rhythm of your walking. Let your shoulders be relaxed, and let your shoulders passively transmit the rhythm of your walk down into your arms. Having your arms simply hanging by your sides and swinging naturally. Notice all the motions in your arms – your upper arms, your elbows, your forearms, your wrists, your hands. And feel the air coursing over the skin on your hands and fingers as your arms swing through the air. Become aware of your neck – and the muscles supporting your skull. Notice the angle of your head. And notice that as you relax the muscles on the back of your neck, your chin slightly tucks in and your skull comes to a point of balance. And you might want to play around with the angle of your head and see how it changes your experience. You might notice that when you tuck your chin close into your chest, your experience becomes darker and more emotional – that you’re more inward turned, somber. And if you lift your chin and hold it in the air you might notice that your experience becomes much lighter – that you become much more aware of the outside world and perhaps caught up in the outside world, or much more aware of your thoughts and caught up in your thoughts. And then, bringing your head back to a point of balance, your chin slightly tucked in. Relax your jaw. Relax your eyes — and just let your eyes be softly focused, gently looking ahead – not staring at anything, not allowing yourself to be caught up in anything that’s going past you. You can be aware of the feelings that you’re having; not in terms of emotions here, but just the feeling tone. Are there things that feel pleasant; are there things that feel unpleasant – in your body, or outside of you. So if you notice things in your body that are pleasant or unpleasant, just notice them. Don’t either cling onto them, or push them away, but just notice them. If you notice things in the outside world that are either pleasant or unpleasant, just allow them to drift by – just noticing them to drift by without following them or averting your gaze from them. You can notice your emotional states. Are you bored? Are you content? Are you irritated? Are you feeling very happy to be doing what you’re doing. Again just noticing whatever emotions happen to be present. And notice your mind also. Is your mind clear, or dull? Is your mind busy, or is it calm? Are you thinking about things unconnected with this practice – or do whatever thoughts that you have center on what you’re doing just now. Just notice these things with no particular judgment – just noticing. And you can notice the balance between your experience of the inner and the outer. I often find that if I can be aware of both the inner world and the outer world in equal balance, then my mind settles at a point of stillness, and calmness, and clarity. So see if you can find that point of balance, where you’re equally aware of the inner and the outer, and your mind is calm, content, and quiet. So, in a few seconds, I’m going to ask you to stop. And I’d like you to come to a natural halt. So, you’re not freezing on the spot; you’re just allowing yourself to come to a stop. So do that now; come to a stop. And just experience yourself standing. Just notice what it’s like to no longer be in motion. Notice once more the complex balancing act that’s going on to keep you upright. Feeling once again, the weight traveling down through the soles of your feet into the earth; simply standing, and experiencing yourself and, finally, bringing this meditation session to a close. Thank you for presenting meditation in an easy and practical way. I wish for many to benefit by thinking their thoughts rather than thoughts thinking for them. Regards. Thanks for this. I’m in a meditation class at Stanford, and as part of my final presentation I’m going to use this to lead the class through walking meditation. This excellent, & it gives me something to practice. Thank you for this. I just recommended it to a friend whose looking for balance in her stressful life. I will be sure to bookmark your link and share it with others. Thank you for the nice page. I have shared the concept with others that may not know of the Walking Meditation. Meditation in General is such a good development skill for the human mind I just can’t say enough and so I won’t. 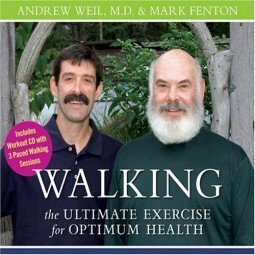 Can walking meditation be done at a moderate walking pace (target heart rate range approximately 50 – 70% of maximum heart rate) or is it designed for a slow walking pace? Is there a recommendation for how many times a week walking meditation should be done? People make running into a meditation practice — keeping awareness in the body, letting go of random trains of thought, etc — so walking in the way you suggest could certainly work as a meditation. There is a certain kind of intensity that comes from walking very slowly, however, and it might be helpful to do some slow walking in order to feel your way into the practice. There’s no particular recommendation for frequency. I used to live in a town where I walked everywhere, and I’d make almost every walk into a practice. You can’t do it too often! It’s very detailed and helpful, but I can’t help but ask did the Buddha ever do walking meditation, and was it really all this complicated? Thank you very much for this! I’m going to have to go over it a few times for sure and then apply it as I’m walking. I’m working on being more attentive to my practice as I’ve let “business” take over a lot of my life. Hearing the words again and being directed towards what I should be aware of is very helpful!